This month, I was assigned Emily’s yummy blog, It Bakes Me Happy. As the blog title suggests, Emily’s blog focuses mostly on baking. Umm. Yum! Emily is a SAHM of two who loves to bake, especially brownies, breads, and muffins! If you ever need a way to satisfy your sweet tooth, be sure to stop by! For the reveal, I made up the delicious Chunky Chocolate Chip Cookies. These cookies are the perfect balance of salty and sweet, with the butter and sugar caramelizing just a bit around the pretzels to make them absolutely addictive! I am most definitely a fan! *If you only want to use 1 type of butter, use unsalted. If you only have salted butter on hand, use slightly less salt. Preheat the oven to 350 degrees F and line 2 baking sheets with parchment paper or silicone baking mats. In the bowl of a stand mixer, beat the butter until light and smooth, then add the brown sugar and beat until fluffy. Add the egg and vanilla and mix until well combined. Add the baking soda, salt, and flour and mix until combined. Using a spoon, stir in the crushed pretzels, chocolate chips, and M&Ms. Use a medium (2 tablespoon) scoop to scoop dough balls, 1 inch apart onto the prepared baking sheets. Bake the cookies for 10-12 minutes or until the cookies are browned along the edges, and golden on top. If the cookies aren’t spreading, lightly press down of the balls of the next batch just prior to baking to encourage spreading. Cool the cookies for 5 minutes on the baking sheets, then move to wire racks and cool completely. 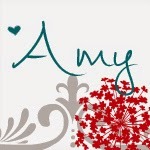 Amy I am so glad you liked them too, they are definitely one of my favorites! 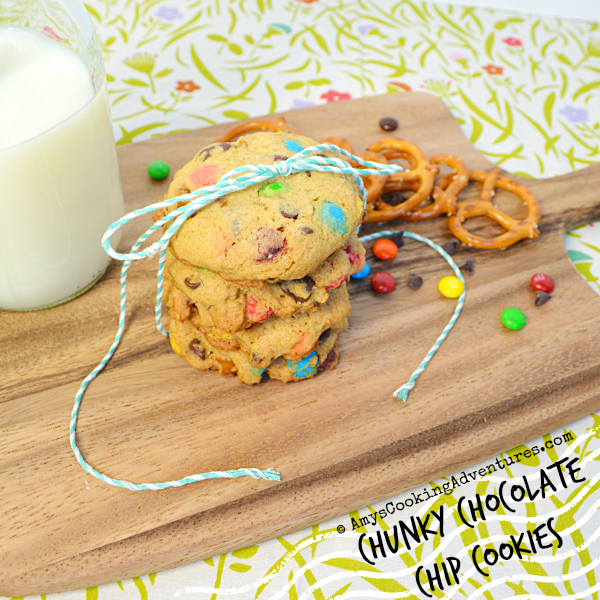 Great choice - this is the perfect Easter cookie too! Mmmmm....I've never had pretzels in chocolate chip cookies - but I bet they're awesome! What a wonderful combination of flavors! Great SRC choice! I've got to try pretzels in cookies. I keep hearing about them. All of my favorite things rolled into a cookie! YUM! YUM! How could you go wrong with those cookies?? Awesome choice! mmmm so many tasty things in 1 cookie! I'm going to have to try putting pretzels in cookies. I love chocolate pretzels but I've never tried baking with them as an ingredient! Do they stay crunchy? They stay mostly crunchy! 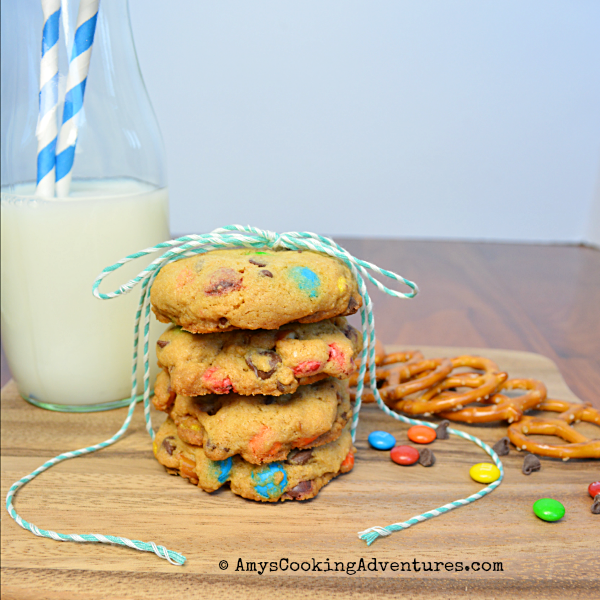 Pretzels are delicious in cookies! Yum, Amy! Those look so delicious. Nothing better than a delicious cookie recipe! Yum! Chocolate chip cookies are my favorite! Thanks for linking up with What's Cookin' Wednesday!